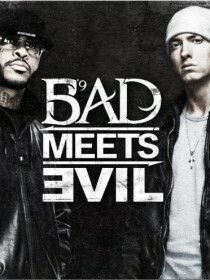 Bad Meets Evil is an American hip hop duo from Detroit, Michigan, that consists of rappers Royce da 5'9" and Eminem. They are best known for collaborating on a self-titled song that appeared on Eminem's major-label debut album The Slim Shady LP in 1999 and their early association with Dr. Dre and his label Aftermath Entertainment. The duo recorded numerous well received underground songs including the popular song "Renegade" which would later be used on Jay-Z's The Blueprint album with Royce's verses replaced by Jay-Z. They have also recorded numerous freestyles together, including a 12-minute long battle. Footage of a Bad Meets Evil concert filmed in September 1998 in Boston at the Lyricist Lounge has also been leaked onto the internet. Bad Meets Evil split up in early 2000s, after Royce fell out with Eminem's group, D12. 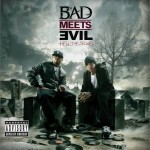 They have since reunited and are planning to release their EP Hell: The Sequel on June 14, 2011.